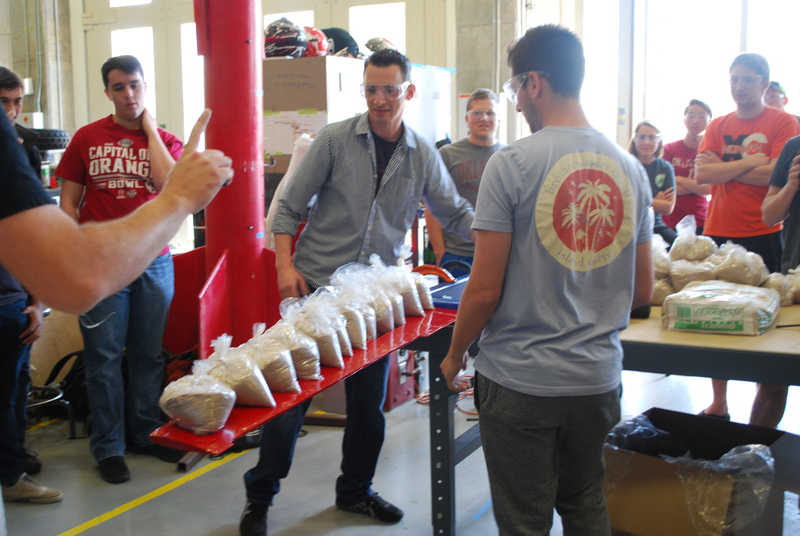 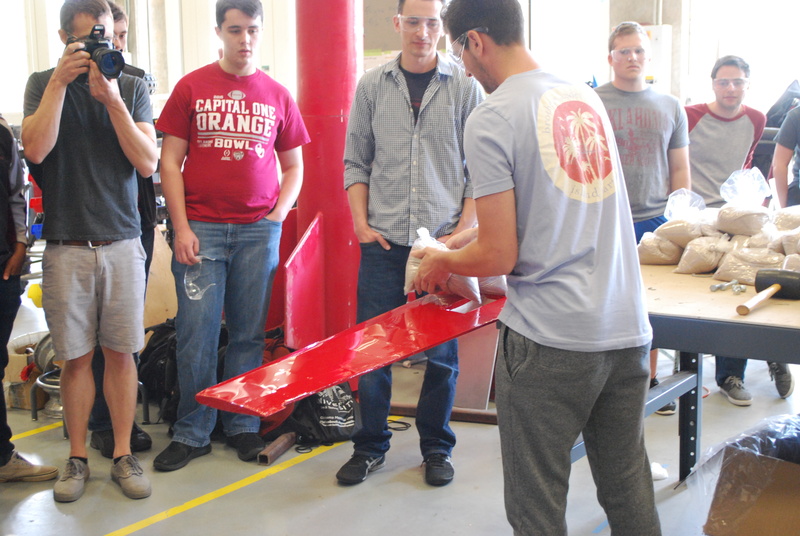 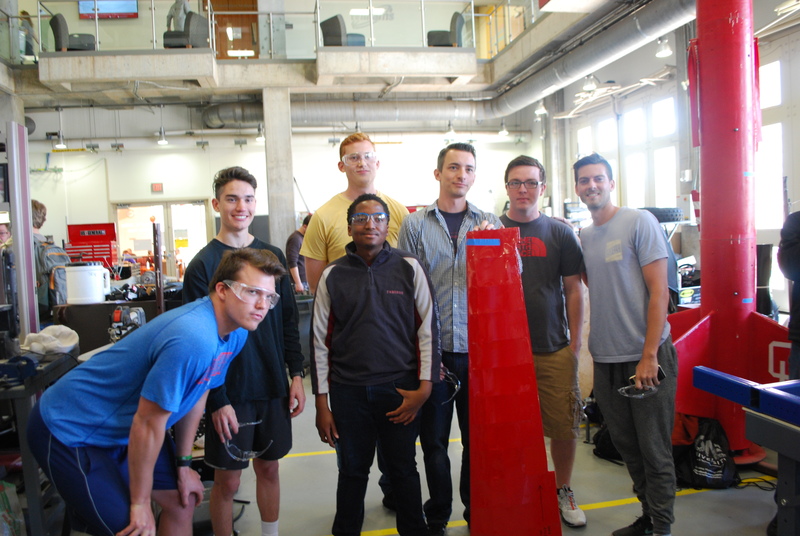 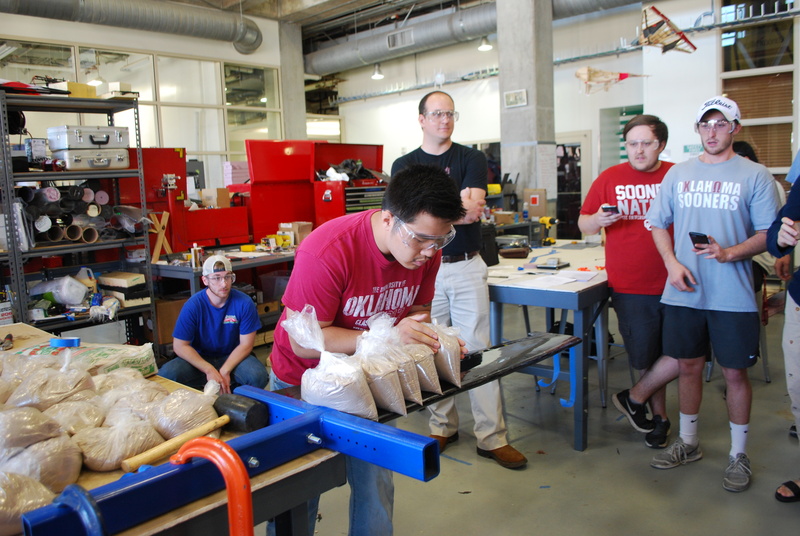 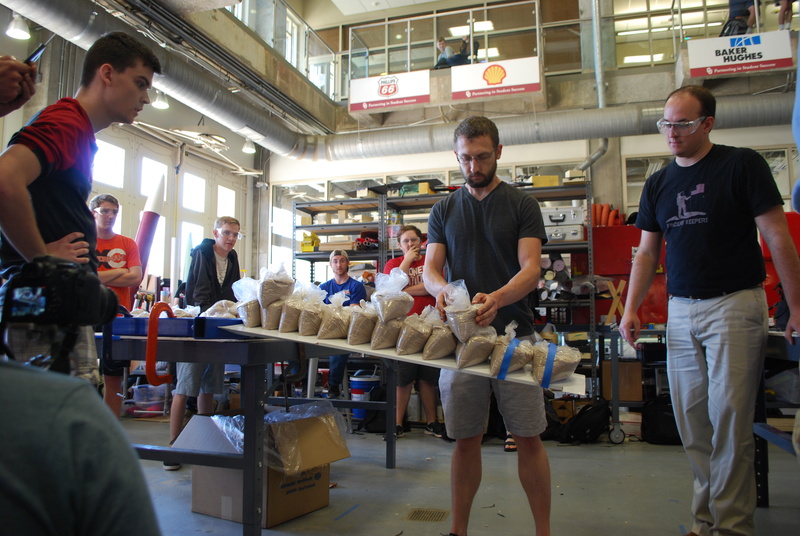 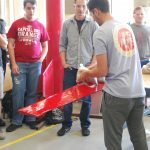 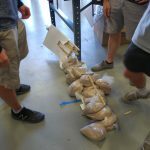 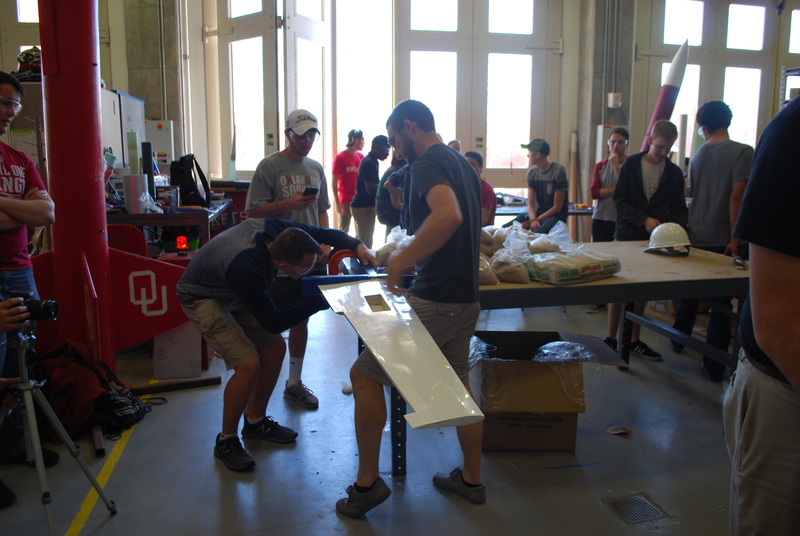 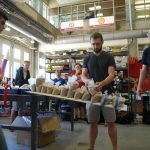 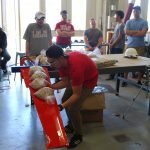 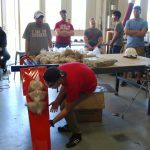 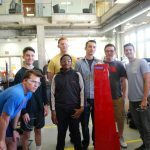 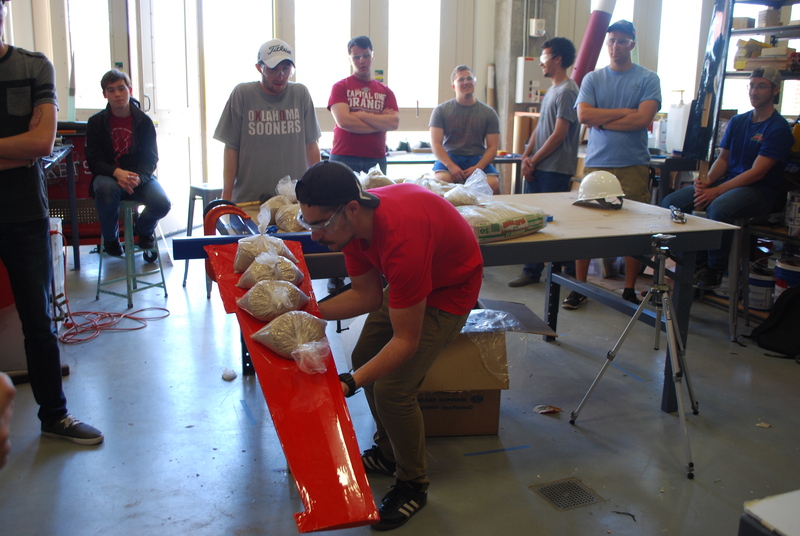 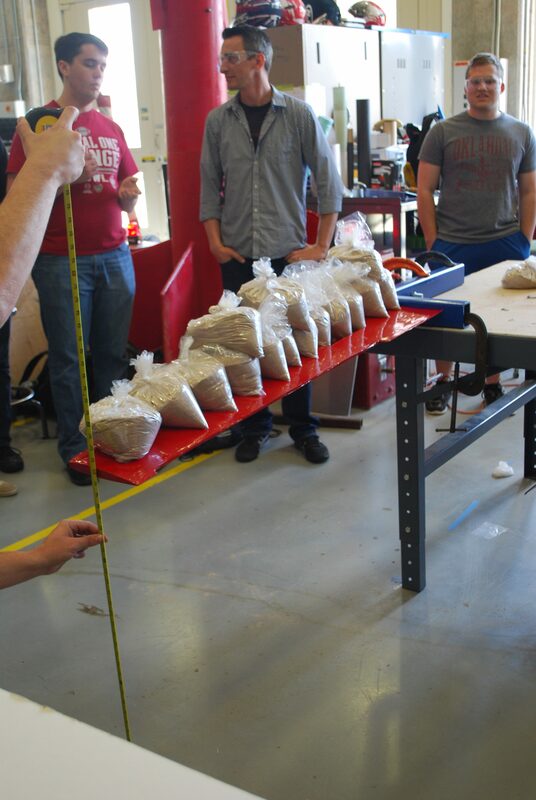 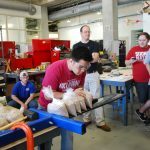 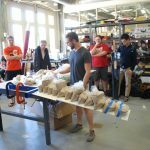 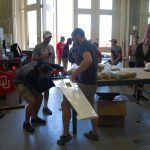 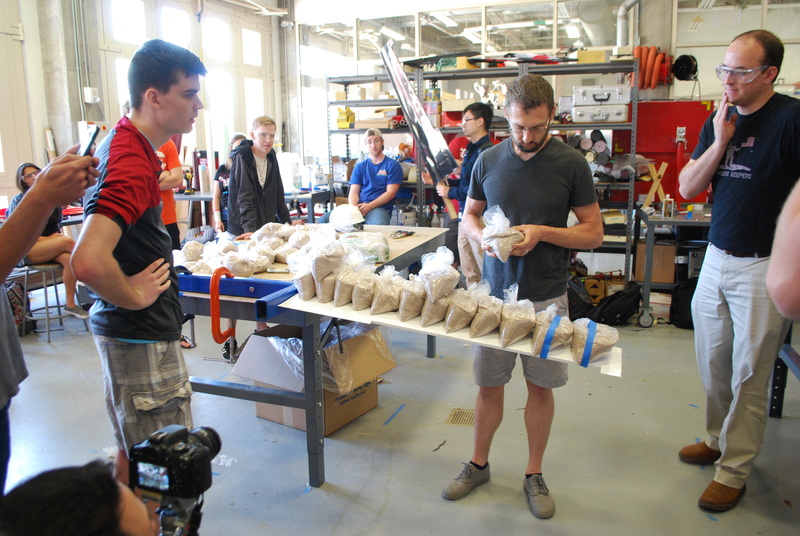 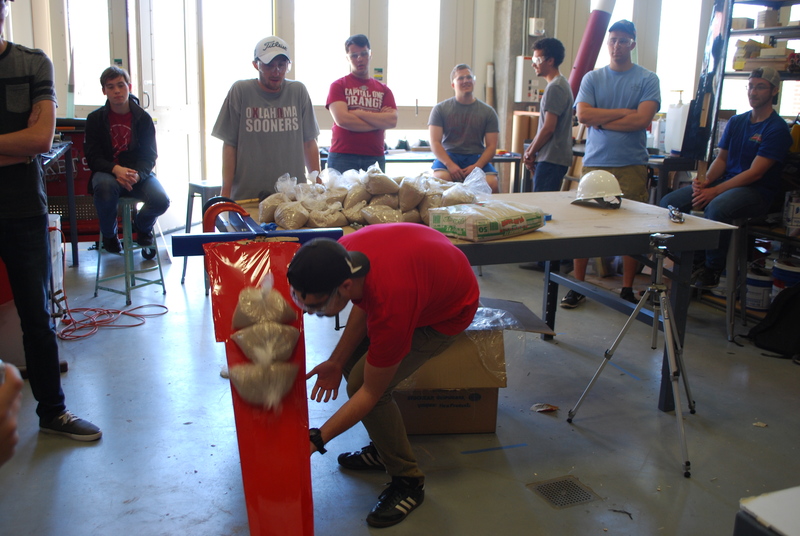 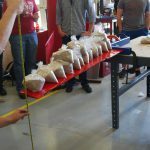 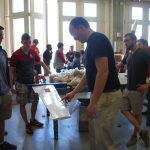 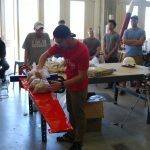 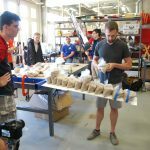 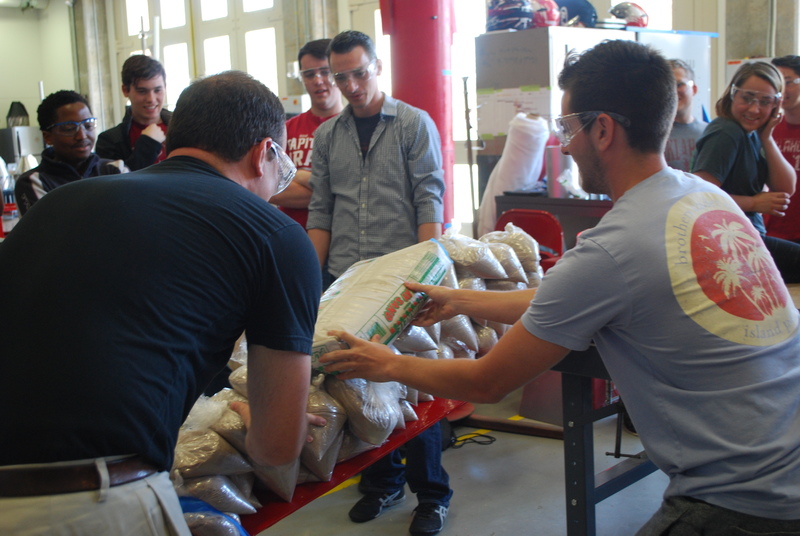 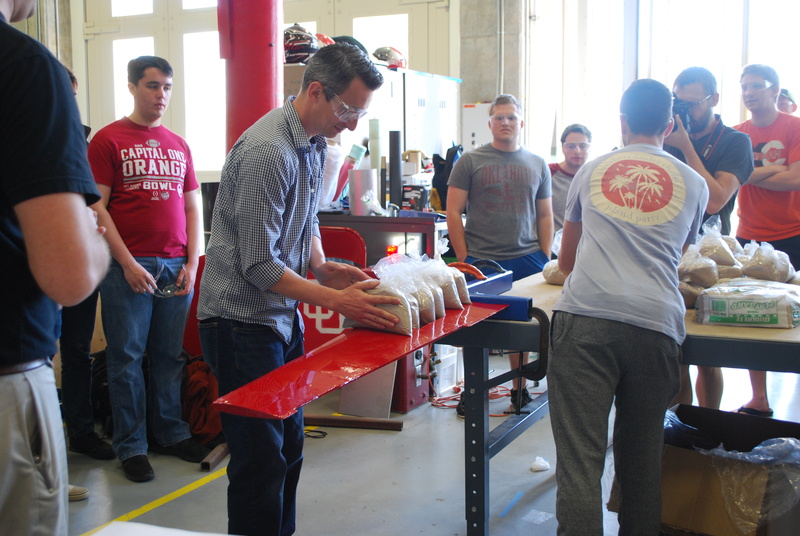 Dr. Hays’ Aerospace Structures class tested their UAV Wing Structural Design and Destruction projects on March 24, 2017 in the Rawls Engineering Practice Facility. 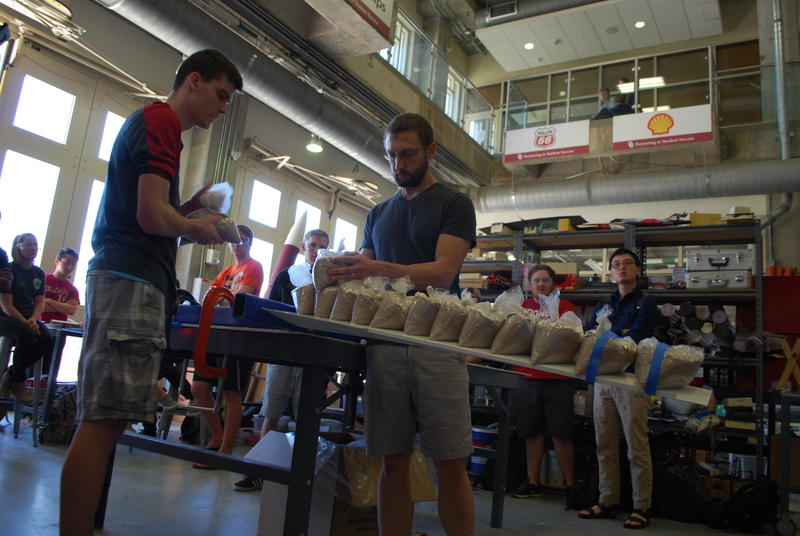 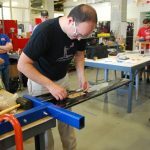 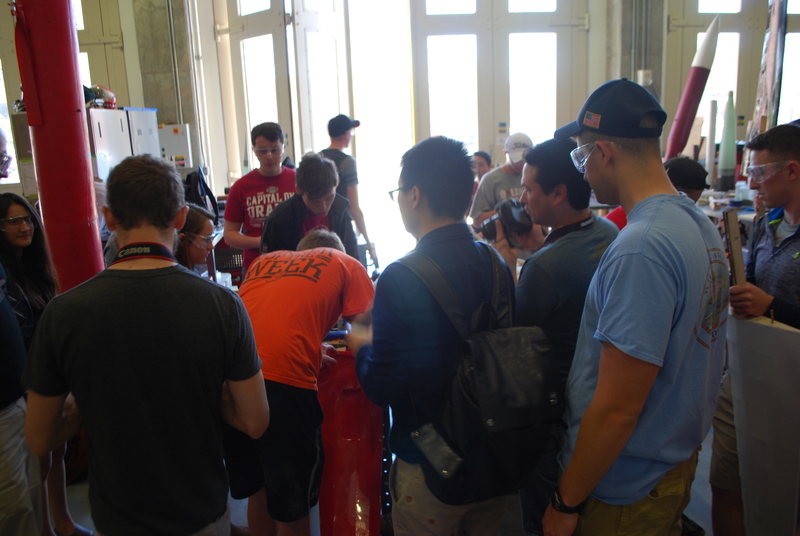 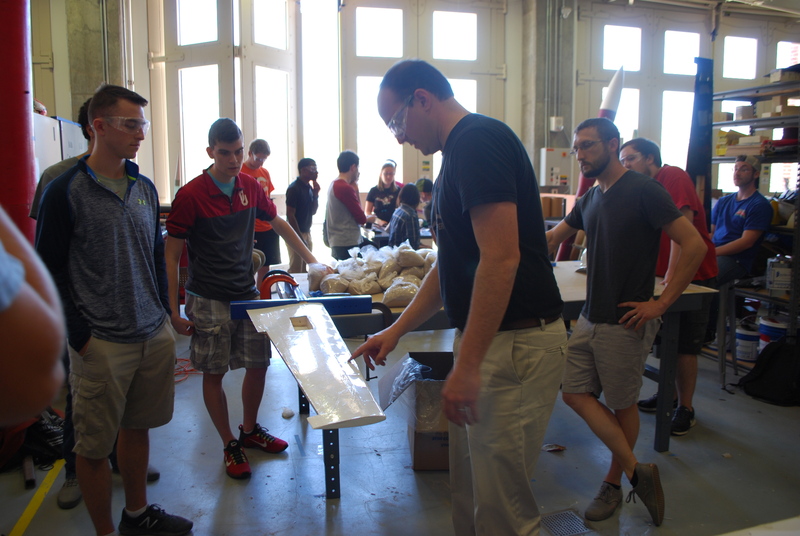 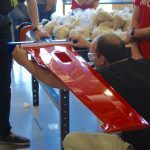 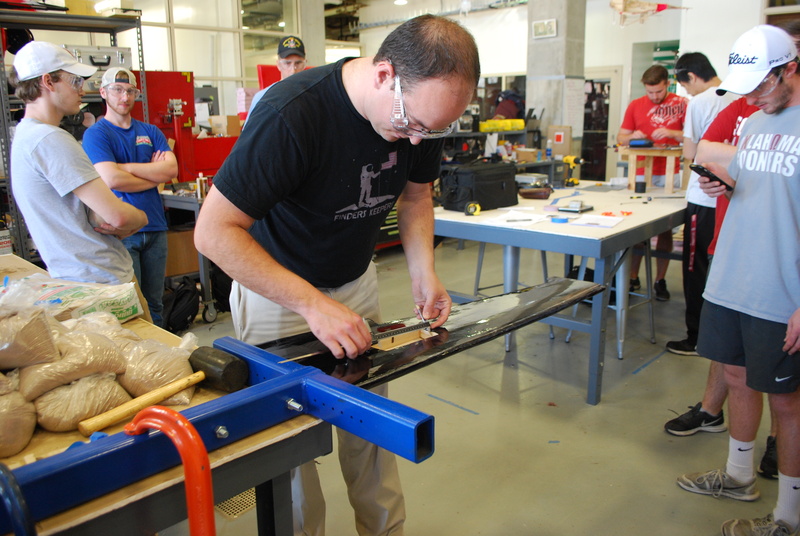 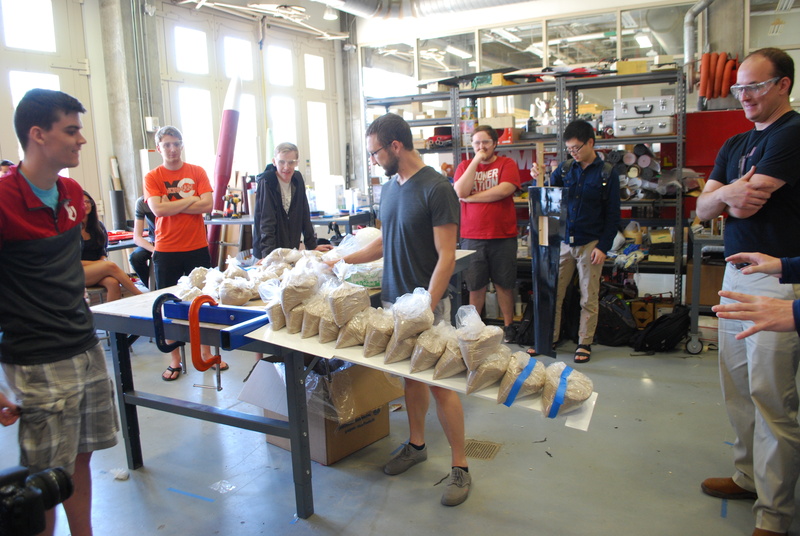 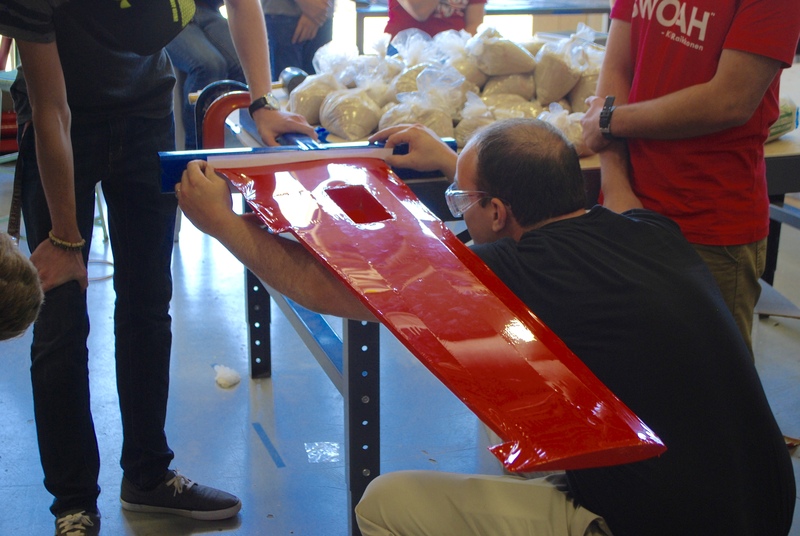 The task description was to design the structure of an assigned UAV wing outer mold line. 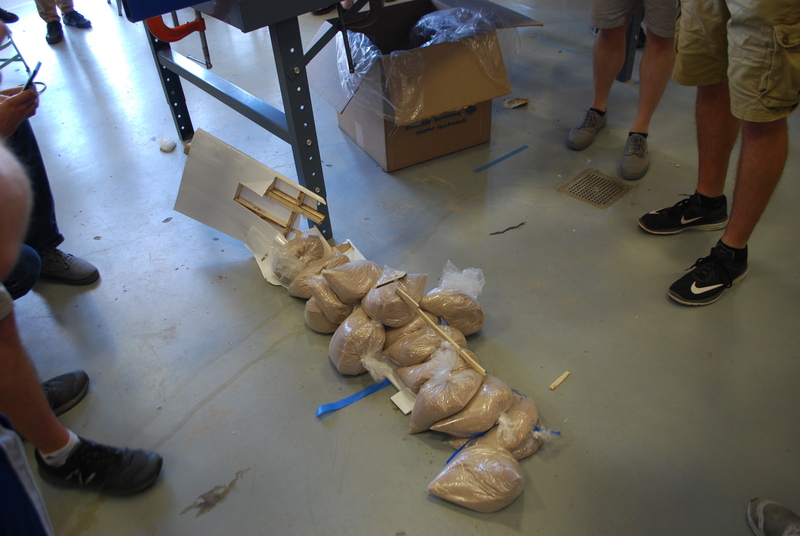 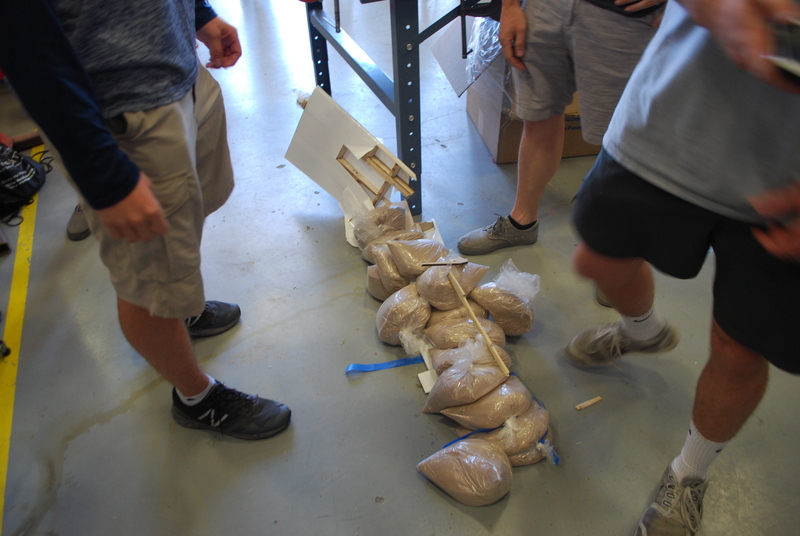 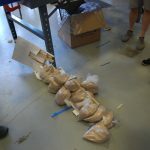 These wings were placed in a table testing mount and loaded with sandbags corresponding to the lift distribution across the wing. 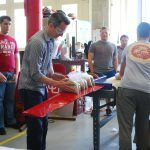 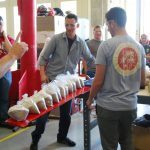 While this is an older method of testing, it is still very much in use today and serves as a very definitive demonstration of strength. 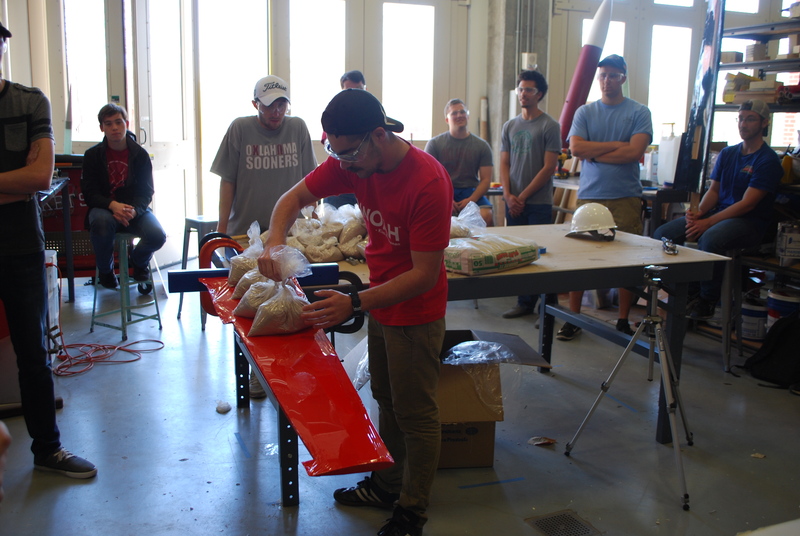 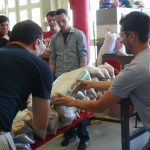 The objective was to construct a suitable wing structure to carry the defined load while keeping the overall structure as light as possible.